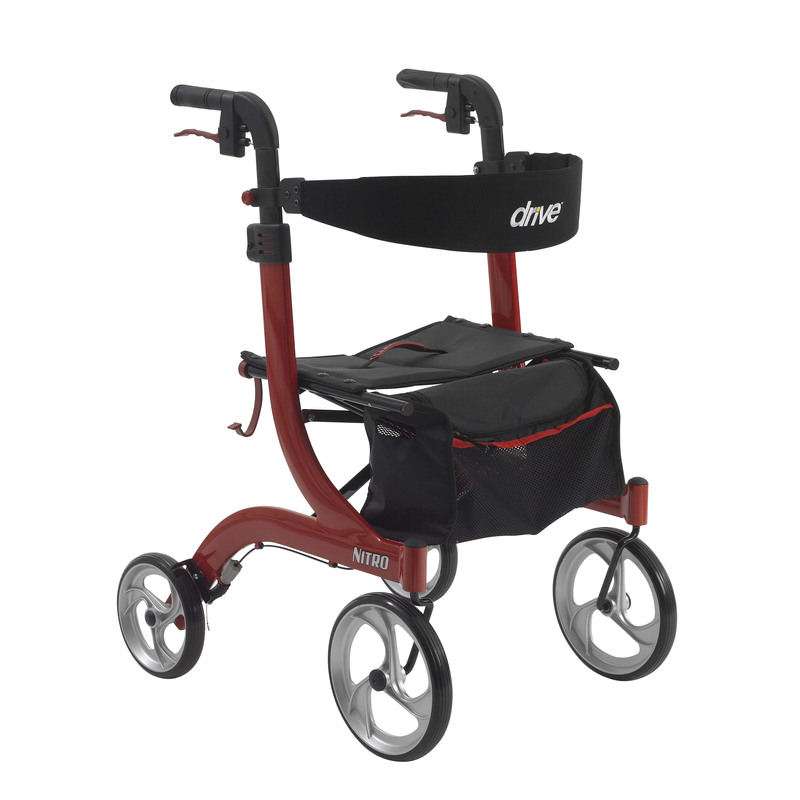 Supreme Value Comfort and Mobility Drive Medical's Nitro Euro Style Rollator Walker was designed for those who want unmatched value along with proven comfort and convenience. With a sturdy and long-lasting frame made of lightweight aluminum this walker is durable yet easy to move around over all surfaces giving you outstanding value unmatched comfort independence and ease of movement.Designed with your comfort safety and convenience squarely in mind the Nitro Euro Style Rollator Walker comes with large front wheels giving you the ability and convenience of moving over most kinds of terrain whether indoors or out an easy task.The flexible height adjustable removable back and the height adjustable ergonomic handles conform to the individual needs of each user thereby affording you the opportunity to customize the walker. You'll also note how the Nitro Rollator is easy to transport due to the nature of its frame which allows you to fold it up with one hand.At the end of the day The Nitro Euro Style Rollator is perfect solution for those who desire a convenient four wheel mobility enhancing walker that operates virtually anywhere and everywhere. Available in Red Black or White. Go ahead...Experience the Drive Difference Now!